With the current flu season in full swing, those planning to vaccinate against the flu should also consider protecting themselves against another illness that could be brought on by it. Pneumococcal disease, which is any type of infection caused by the bacteria Streptococcus pneumonia, is common throughout flu season. A form of pneumococcal disease is pneumonia, a lung infection that can cause mild to severe illness in people of all ages. Pneumococcal pneumonia is the most common form of pneumococcal disease in adults, according to the Centers for Disease Control and Prevention (CDC), with about 900,000 Americans getting pneumococcal pneumonia each year. Common signs of pneumonia may include fever, cough and trouble breathing. The CDC estimates that as many as 400,000 hospitalizations from pneumonia are estimated to occur annually in the United States. Health care professionals use two different vaccines to prevent pneumococcal disease: pneumococcal conjugate vaccine (PCV13) and pneumococcal polysaccharide vaccine (PPSV23). The CDC recommends pneumococcal conjugate vaccination for all babies and children younger than 2-years-old; all adults 65 years or older; and people 2 through 64-years-old with certain medical conditions. Pneumococcal polysaccharide vaccination is recommended for all adults 65 years or older; people 2 through 64-years-old with certain medical conditions; and adults 19 through 64-years-old who smoke cigarettes. Wash your hands. Frequently wash your hands, especially after blowing your nose, going to the restroom, diapering and before eating or preparing foods. Don’t smoke. Tobacco damages your lung’s ability to fight off infection. Smokers have been found to be at higher risk of getting pneumonia and are especially encouraged to get the pneumococcal vaccine. Be aware of your general health. Because pneumonia typically follows respiratory infections, you should be aware of any symptoms that linger more than a few days. Good health habits – such as a healthy diet, rest and regular exercise – help prevent getting sick from viruses and respiratory illnesses and promote fast recovery when you do get sick. 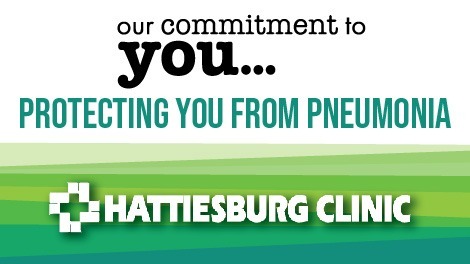 Many family medicine, immediate care and select specialty clinics offer pneumonia and flu vaccinations. Talk to your primary care provider about protecting yourself from pneumonia and to find out which vaccine is best for you.